People often ask, especially around the dinner table after a cookery class, how I first became involved in cooking. 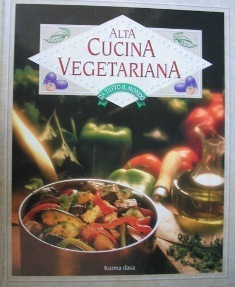 Had I always cooked vegetarian food? Was I born a vegetarian? And was I still a Hare Krishna devotee? The answer is that my involvement in a vegetarian lifestyle, cooking, and my hunger for a more spiritual way of life all began at the same time – in my last year of high school in 1970. As a student at Vaucluse Boys High School in Sydney I found myself inexplicably drawn to all things Indian. I would read books on yoga and mysticism, listen to Indian music, burn incense, buy Indian posters of Krishna and buy Indian clothes. I had just become a vegetarian, and enjoyed the taste of Indian food. So when my best friend Mark invited me to a newly opened temple in Paddington, I jumped at the chance. Mark explained to me – as we travelled to the temple in one of Sydney’s old double-decker buses – that we were going to the Hare Krishna Temple. I had heard of Hare Krishna, but knew very little about it. 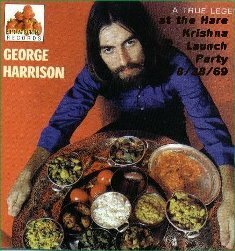 I recalled first hearing the words “Hare Krishna” in the Beatles song “I am the Walrus”, and then on George Harrison’s famous single “Radha Krishna Temple” released on Apple label. A few friends, Mark, and myself, had gone along to see the newly opened musical “Hair” at the Metro Theatre in Kings Cross only months before. At the rousing incence-filled finale, the whole audience (except me) had stood and chanted Hare Krishna along with the cast. Now here’s a topic that’s always on my mind in the kitchen. The debate was once again sparked yesterday. My reply: Hello Tony! I always use wooden cutting boards. I detest plastic. I searched my old files and found a news item from 10 years ago. Then I looked up the topic on the internet. It seems that there has been a debate for quite a while over this, but the plastic lobby seems to have won. 10 years ago research leaned towards wood. 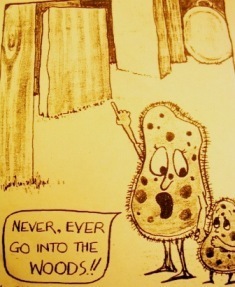 In essence, it was found that over 99% of bacteria died on wooden cutting boards, whereas the bacteria actually multiplied on the plastic boards. For the tests, researchers purposely contaminated wood and plastic boards with common bacteria that cause food poisoning – salmonella, listeria, and escherichia coli. They tested boards made from seven types of wood and four types of plastic, and at different temperatures and humidity levels. Although their premise had always been that plastic was safer, to their astonishment they discovered that over 99% of all the bacteria on the wooden boards disappeared after only 3 minutes. In the same time, none of the bacteria on the plastic boards disappeared. Over the years of teaching and cooking in professional kitchens around the world I have noticed that now – almost exclusively – only plastic boards are used. Many powerful chemical cleaning products are on tap, and I can’t help wondering if the plastic and chemical companies have finally been successful in convincing the kitchen managements in their favour. These days, if you look this topic up on the internet, off-the-record personal opinions still seem to quietly favour wood, but big ‘movers and shakers’ like the US Food and Drug Administration have wooed many around the world back to plastic. But I am not convinced, and will never use plastic as my board of choice. 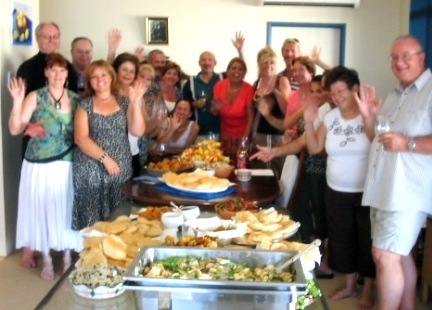 M and L (above, far left) attended a cookery class with me a year or so ago, and when their 30th Wedding Anniversary came around they decided they’d invite me to their home in Perth’s Hamilton Hill to cater for the event. On Sunday, despite the blisteringly hot conditions outside – well over 40 degrees celcius – the 24 guests had a near riotous time in the kitchen. It was a surprise event for the guests, who just expected lunch. They hadn’t counted on having to cook it themselves. Excuse the rash of ‘doomsday’ blog entries this week. But hey – it’s a dangerous world. Even though the death rate here is 100%, it’s still worthwhile to know how to improve our ‘quality of life’ while in this body, in this life. Intelligent life is all about discrimination. It seems that high fructose corn syrup is well worth doing without. It’s in a lot more things than you might think. 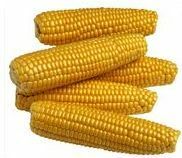 “Most of us would be surprised to learn that the larger percentage of sweeteners used in processed food today comes from corn, not sugar cane or beets. 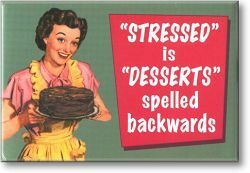 I noticed the above cute little saying on an apron of a student of mine at a cookery class somewhere in Australia on my last Big Tour. I think it was in Alice Springs. 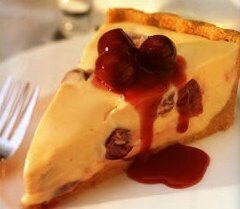 Sandy from Leichhardt, NSW, Australia writes: Hey Kurma, do you have a nice cheesecake recipe? Australia is the fourth highest mobile phone per capita country in the world. I use a mobile phone, but as little as possible. I have a great suspicion of their long term effects. Two old associates of mine, heavy mobile phone users, both died of brain tumours that formed on the sides of their heads where they habitually held their phones. This report ‘rang bells’ and seemed worth sharing with you. It links to a website that solely deals with microwave issues. Very compelling stuff. Lots to read here. “Scientists have found long-term users of mobile phones are more likely to develop a certain type of tumour on the side of their head where they hold their handsets. Hi Mandy. Well, the fact that it is pink indicates to me that it is tomato based with either cream or sour cream or yogurt mixed with it. The chances of me suggesting a duplicate recipe is very slim. There are tens of thousands of variants. Allow me to suggest a couple of nice sauces. Here’s the tomato sauce I used as the basis for many dishes at Gopal’s Restaurant when I was head chef there. It’s ideal served with all types of pasta dishes, including lasagna and gnocchi. I also use it as the basis for various casseroles and as a dipping sauce. It’s great on crispy battered vegetables, pakoras, especially cauliflower, and it’s quick and easy to prepare. Makes about two cups. Heat the olive oil in a medium sized saucepan over moderate heat. When the oil is hot but not smoking, add the asafetida and saute momentarily. Add the black pepper, stir for a moment, and then add the tomatoes. Add the basil, cloves, salt, and sugar. Bring to a boil; then reduce the heat to low and simmer for 15 minutes, stirring occasionally. Stir in the tomato paste, lemon juice, and parsley, combine and cook for another 1 minute, and remove from the heat. Serve hot, or if you prefer, allow it to cool, put it in a well-sealed glass jar, and use it when required for pasta dishes. This sauce can be refrigerated for about a week. Satay sauce is delicious served with a variety of fried savouries. This recipe yields a fairly hot sauce. Adjust chilies as desired. Heat the olive oil in a heavy pan until almost smoking. Saute the ginger and chilies until they start to brown; then add the asafoetida. 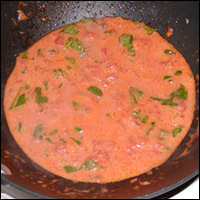 Saute for just a few seconds; then add the tomato puree. Stirring often, bring the puree to a boil. Reduce the heat to low and simmer for 5 minutes. Add the ground cumin and peanut butter, stirring the sauce until the peanut butter melts. Blend the coconut milk, sugar, salt, parsley, and lemon juice with the peanut butter and remove the sauce from the heat. Whisk until smooth. This sauce is best served hot. &apos;Oldies&apos; Please Note: Eat Your Greens! 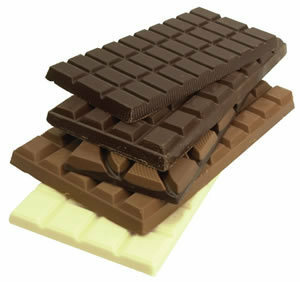 “Folic acid supplements can improve the memory and brain power of ageing brains, research shows. Men and women aged 50 to 70 who took daily supplements had similar mental abilities to contemporaries almost five years younger, The Lancet study found.